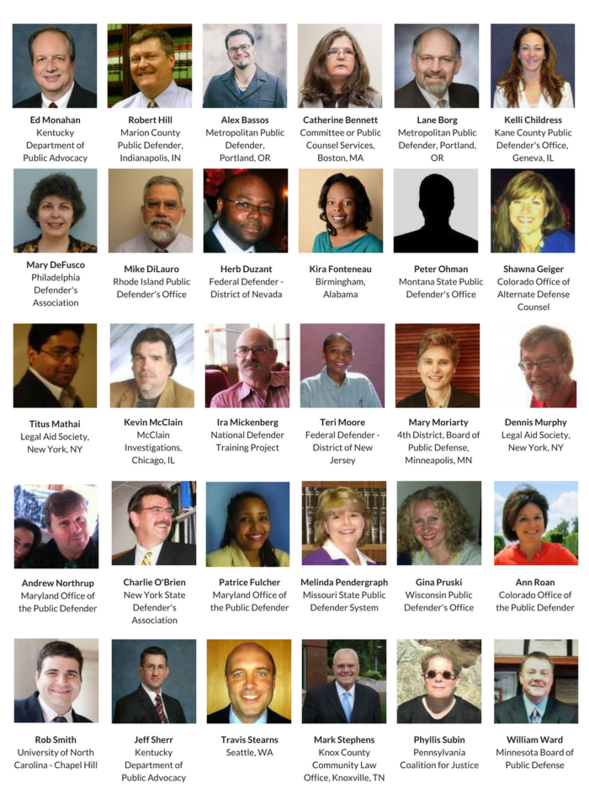 NAPD's Education Committee is made up of public defender and assigned counsel leaders, staff and trainers. It creates and promotes effective education though in-person programs, webinars, blogs, podcasts, and written materials that are accessible to litigators, leaders, investigators, social workers, and mitigation specialists across the nation, and it co-sponsors programs offered by other organizations interested in indigent defense work. Committee members are set out below. Ed Monahan, Public Advocate for the Kentucky Department of Public Advocacy is Chair. Bob Hill, Chief Public Defender for the Marion County Public Defender Agency in Indianapolis, IN, is Committee Vice-Chair. The Education Committee also coordinates a special workgroup to develop the annual NAPD Leadership Institute and a Death Penalty Subcommittee, which coordinates capital resources for practitioners around the country and, as appropriate, makes relevant mitigation resources available to non-capital advocates. The Education Committee meets the third Monday of each month. Committee members engage the NAPD community to contribute training and training materials through live webinars and resources archived MyGideon. Current info on upcoming events can be found on the Events page. The Education Committee has created a calendar to serve as a comprehensive resource for training events around the country. Organizations can submit entries to this calendar by filling out the following form. All information must be included for the event to be added to the calendar. All requests to be added to the calendar must be made using the form. Note: Inclusion on this calendar does not constitute an endorsement by NAPD about the program, organization, resources, etc.